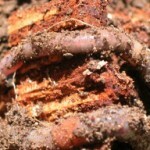 Worms have been a benefit to mankind and nature long before worm farming became well-known. The soil that worms generate is great environmentally friendly fertilizer for plants, worms may be used by fisherman as bait and lots of different animals eat worms for food. A worm farm is good for the planet. 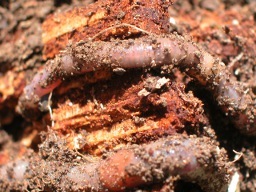 A worm farm at a zoo or natural history museum can show exactly how nature composts normally. Kids would love the chance to touch the worms. A worm farm is ideal for show and tell at school. If you belong to a garden club, a worm farm could produce a great compost that you can use on your plants. Birds love worms and bird owners could start their own worm farm to provide food for their pets. Fish and reptiles like worms and their owners may like to start a worm farm. In your own home, a worm farm is a terrific way to show kids how to compost their foods scraps, teach the children responsibility and show them how the fertilizer is good for plants. Worm farms are a good way to support the economy by buying and selling. They furnish a useful service by increasing the health of soil, they provide a useful product, and they encourage equipment sales. They provide an extra income to the seller as well as jobs for any workers needed on the bigger farms. Catfish love to eat worms, so a catfish farmer would reap the rewards of a worm farm. The worms are a natural bait and are better for the environment than artificial lures that could be left behind by fisherman. Developing a worm farm along with a chicken ranch would keep your costs for food down..
Now, how many businesses really can reap the rewards of a worm farm? Everybody is able to in someway. Without worms our plants, fruits and veggies would not have good soil in which to grow. Whoever has used a compost pile knows how their plants react to this great fertilizer. It might be fun to mention worm farming at a get together and see the response of people. You might be surprised at the number of people who respond in one way or the other with this all-natural activity. Even though you do not like to touch worms you can come to appreciate the dedication of the little worms as they eat away at your kitchen or garden scraps. Most worms are helpful to nature. For those who aren’t squeamish, worms can even be an exotic treat. Remember when we were kids there was always someone who was happy to eat a worm.